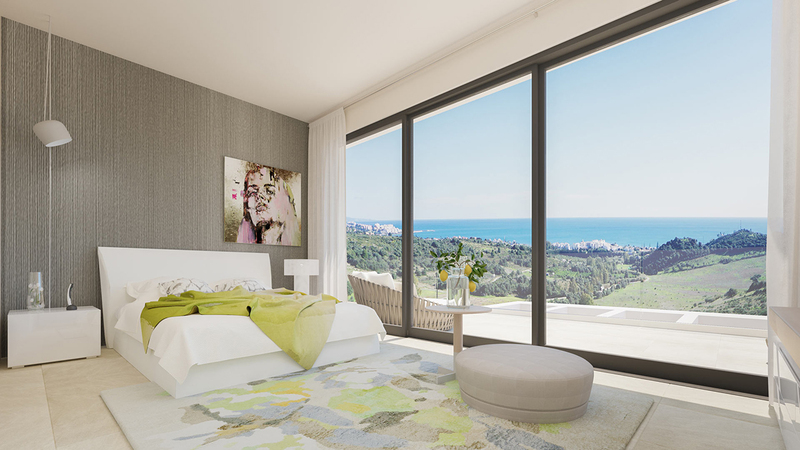 Mirador de Estepona Golf is a new off plan development of 54 apartments and penthouses located in the new Golden Mile: between Gibraltar and Puerto Banus, in the area of Estepona Golf, 3 km from the beach and amenities, surrounded by Golf Courses. The plot has an area of 8,400 m2 and an entrance with access to two streets: one of them, at the top of the plot, is the path to the clubhouse of the Golf Club (about 100 meters) and the other (in the lower part) has views of the 3rd hole of the same course. The development is made up of 6 blocks located step by step adapting to the topography of the terrain with a difference of 17 m in the slope of the hill, enjoying an excellent south orientation with spectacular golf & sea views in practically all apartments. The owners of Mirador de Estepona Golf will enjoy a green fees pack per apartment valid for 12 months at Estepona golf course and the VIP owners card El Fuerte Estepona hotel with special prices and discounts valid for 12 months.